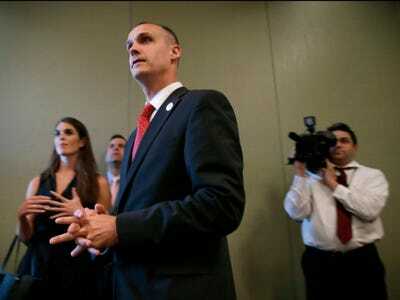 AP Images/Charlie NeibergallCampaign manager Corey Lewandowski, center, looks on as Republican presidential candidate Donald Trump speaks at a news conference, Tuesday, Aug. 25, 2015, in Dubuque, Iowa. 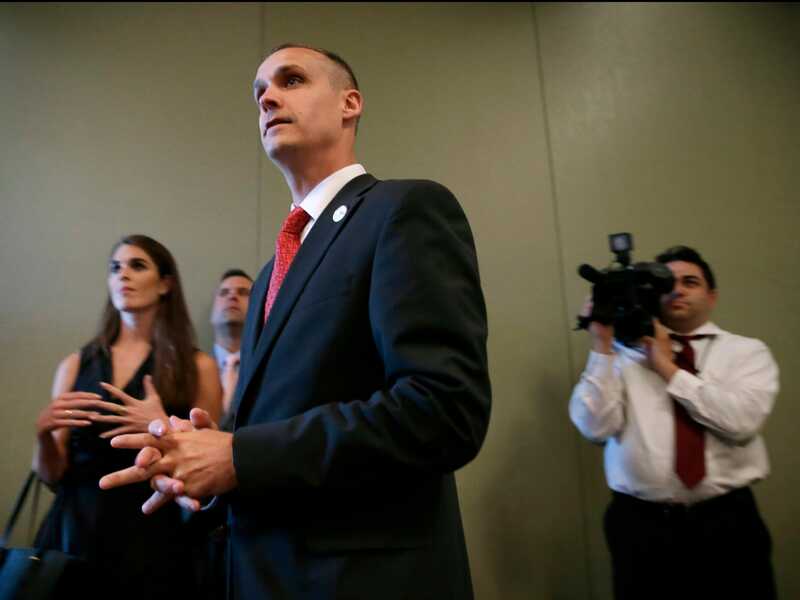 Donald Trump’s former campaign manager called the Republican presidential candidate’s newly revealed lewd comments about women “absolutely not defensible,” yet nevertheless asserted that Trump was generally respectful of women. “I’ve never heard something like this out of him,” Lewandowski said, telling host Wolf Blitzer that he’s “seen first hand” the respect Trump has for women. Lewandowski characterised the leaked audio as a “private conversation” and asserted that Trump’s comments did not reflect on-the-job requirements needed to be president. “Clearly this is not how women should be talked about, but we’re not choosing a Sunday school teacher here,” Lewandowski said. For its part, Hillary Clinton’s campaign condemned Trump’s comments. “This is horrific. We cannot allow this man to become president,” Clinton’s account tweeted along with a link to The Washington Post, which first broke the story.